Nothing conveys vitality more than skin that’s glowing, firm, and healthy looking. At Omega Medical in Florham Park, New Jersey, your aesthetic experts help you protect and nourish your skin. They use facials and serums while reversing the signs of aging with state-of-the-art microneedling, Botox®, dermal fillers, and platelet-rich plasma (PRP) therapies. Omega Medical’s director, expert cosmetic physician Dr. Amit Chitalia, ensures that your skincare treatments are safe, effective, and backed by science. 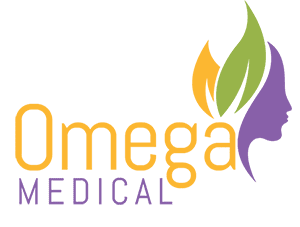 To treat your skin to an invigorating facial, preventive therapies, or rejuvenation techniques, contact Omega Medical by phone or online form. Keeping your skin clean and protected takes more than cleansing with soap and water. Depending on your ethnicity, type of skin, and what kinds of issues you’d like to resolve, Dr. Chitalia custom-designs a skin care regimen for you using the revolutionary, science-based ZO® skin care line by renowned dermatologist Dr. Zein Obagi. ZO skin care products are formulated to create skin that’s smooth, strong, firm, even-toned, hydrated, and disease-free. The ZO regimen includes medical-grade skin care products to resolve acne, rosacea, and signs of aging, as well as sunscreens. Your aesthetic professional also recommends monthly facials to slough off the dulling outer layer of your skin, allowing your new skin to shine through. Facials deep clean your pores and infuse your skin with nourishing vitamins and other ingredients, such as hyaluronic acid, to keep your skin moist, firm, and youthful. How can I erase and prevent wrinkles? If you have wrinkles on your forehead, around your eyes, or between your brows, a neuromodulator such as Botox, Xeomin®, or Dysport® erases them by relaxing the muscles that cause them. You can even use Botox to prevent dynamic wrinkles before they occur, as long as you’re over 18 years old. Botox lasts about three to four months. If you have other wrinkles, folds, and creases on your face — such as nasolabial folds and marionette lines — your Omega Medical professional selects from a full range of hyaluronic acid (HA)-based fillers by Juvederm® and Restylane® to instantly plump them up. You’ll need touch-ups every six months to a year. How can I firm and tone my skin? Microneedling treatments with the dermapen stimulate your skin to produce new collagen and elastin. A microneedling treatment creates a dramatic rejuvenation that’s similar to that of a laser, but without downtime. Dr. Chitalia combines microneedling with PRP to create a Vampire® Facial that lends your skin extra luster and strength. How can I improve my acne, rosacea, or brown spots? Dr. Chitalia controls your acne and rosacea flares with PRP, which heals your damaged follicles and rebuilds your skin. If you have acne scars, he improves them with microneedling and dermal fillers. Microneedling clears away hyperpigmentation by rebuilding your skin with collagen. You’ll need a series of microneedling treatments, plus touch ups every year or so. To learn more about what your skin needs and the best treatments to keep it youthful, strong, and glowing, contact Omega Medical by phone or online form.